The Board Game Shop UK Win a copy of Pandemic! Win a copy of Pandemic! This competition is now closed. Thank you for entering and good luck! We’ve just launched and it’s time to get the word out. We did some research and apparently a “Viral Campaign” is all the rage these days? What, then, could be a more appropriate prize than the awesome Pandemic? And for a runner up we have a copy of Zombie Dice DELUXE! There are three ways you can “bite your friends” thus spreading the competition infection (and yes, if you do all three your name is in the hat three times) so check the list below and lets get propagating! Sign up to the forums and post in this thread, you can just say “Hi”, tell us what your playing or try your best to type a Zombie groan. That’s it! We will be checking back soon to announce the winners. Please note that only UK residents will be eligible for the prizes. Luke is a joint owner and co-founder of The Board Game Shop. He is currently Commercial Operations Manager and deals with the financial side of the site. Nice one guys, wish you all the best with this! Hey, your site looks really well designed. Will buy games off you guys once I get my pay check! Hello! Your webstore is brilliant 🙂 would love to win Pandemic, is the competition still running? I’ve sent you a photo on twitter of my friends victory last night playing King of Tokyo, it’s a great game! I’m looking to buy, will yiu be getting more in stock soon? You’re just in time! The competition closes at midnight tonight! We love the photo. We hope to get King of Tokyo back in but it’s currently out of print – we have heard that a new print is coming soon though, so keep your eyes peeled. 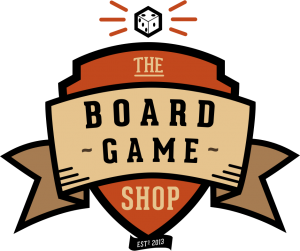 The Board Game Shop is here! New stock coming soon – thanks to you!